Born June 19 1941, Ireland; died August 1 2007 England. 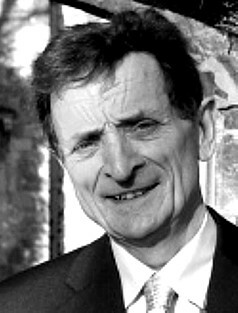 Joe McCarney was a unique voice in the resurgence of Marxist theory and philosophy that took place in Britain in the 1970s and 1980s. He joined the Radical Philosophy group in 1976, and he was prominent thereafter as a contributor and a member of the editorial collective of the journal. In three meticulously argued books and a number of papers he developed a distinctive perspective on the thought of Marx and Hegel, which was deeply immersed in the original texts and yet thoroughly alive to the realities of present-day capitalism. His writings were a model of clarity both in their exposition of complex issues and in their exact English style. McCarney held a post as a lecturer in Philosophy at London South Bank University from 1969 until 2000. At the time South Bank was a magnet for working-class students, many of them mature, and also academics, such as McCarney, committed to social equality. The only full-time philosopher at South Bank, McCarney was a gifted teacher. He developed courses there on Political Ideology, Social Philosophy, Human Rights, and Medical Ethics. The central theme of McCarney’s work revolved around the question of the relationship of theory and practice in Marx. While it is clear that Marx envisaged his theoretical work as a force on the side of the proletariat in the class struggle, McCarney fiercely opposed the characterization of Marx’s theory as ‘critical social science’. He felt that its practical significance belongs to its peculiar nature as science, not as critique. In rigorously developing this conception, McCarney suggested that the key to it lay in Marx’s debt to Hegel. McCarney argued that ‘a certain conception of the theory-practice relationship constitutes the core of Marx’s Hegelianism and embodies the sense in which he remains all his life a faithful Hegelian’.? Marx’s conception of the logical status of his own work committed him to denying that revolutionary theory needs a moral, or indeed any normative, dimension. As McCarney acutely observed, Marx, like Hegel before him, had a kind of aristocratic, proto-Nietzschean, disdain for habits of complaining and fault-finding, and taking refuge in idealistic dreams. But if so, McCarney asked, how does Marx’s theory have practical significance? The answer lay in a form of knowledge which is expressive of the necessity inherent to its object. Dialectical theory surrenders to the life of its object and seeks to bring that life into the light of consciousness. It cannot add anything of its own without betraying its own character, and in particular must not seek to provide a normative commentary to mediate the stages in the life of the object. From this perspective a central role is assigned to the category of ‘contradiction’; it is above all contradictions that need bringing to light. Such an activity itself transforms the situation, not merely the conceptual field, where self-contradiction is concerned. The proletariat is compelled to rebel by the contradiction of its existence when it becomes aware of its own nature and the nature of its situation. The role of revolutionary theory is to be the self-consciousness of the emancipatory historical subject. Thus the immediate object of dialectical social science is provided by social contradictions, specifically the intersubjective contradiction of class society. Through the development of social scientific insight, subject classes achieve a grasp of the true nature of their situation. This process includes qualitative leaps made possible by the universalisng power of theoretical concepts. The whole development may be seen as actualizing the contradictions of the preconceptions derived from the ruling ideology and reality as it is experienced and understood. This is the substance of the idea that ratiocination about the desirability of social change is itself already a form of such change. Thus, it serves as the driving force of the dialectic of class-consciousness. More specifically, the conflict between classes can be superseded in a transition to a new society only if the historical process becomes conscious for one of the participants, the proletariat. The process of transition is explicated in terms of the directly transformative power of the discovery of self-contradictions by a historical subject. The shift from doctrinaire to revolutionary science is precisely that from a normative to a dialectical conception. Once it has taken place, theory is no longer a vision of what ought to be but the voice of an emergent movement of reality which in becoming articulate is enabled to develop its world-transforming potential. It was this conception of social theory, shared by Marx, Engels, Lenin and Lukács, that Marxists needed to recover and develop. However, the conception of Marxist theory for which McCarney was arguing depended implicitly not only on identifying a revolutionary agent but also on an underlying confidence that history was tending towards socialism, or in Hegelian terms that the rational was becoming real. It was perhaps this that led him to a study of Hegel’s philosophy of history in the 1990s, culminating in his Hegel on History (2000), a lucid exposition of Hegel’s conception of history as the emergence of universal human freedom. Hegel was convinced that a people once possessed of the spirit of freedom does not willingly surrender it. Rejecting transcendentalist readings of Spirit, McCarney concluded: ‘It is “We” who are responsible for sustaining history in its course and bringing it to an end in freedom.’ He reacted to the failure of the Soviet experiment in a true Hegelian spirit, regarding the reunification of East and West as a natural resumption of the march of world history. He often remarked jovially: ‘The Absolute is not in a hurry.’ He said he was more of a Marxist Hegelian than a Hegelian Marxist. He remained to the end of his life a quiet but principled opponent of capitalism, which he once described as ‘systematic violence and terror’. His conception of socialism was typically low key: ‘a truly human society, one that does not, by its nature, systematically obstruct the attempts of the mass of its members to cope with the burdens of being human’.